For the eco-minded, buying a new computer is one of the most annoying things around. Sure, you want to get a computer that has the least impact possible, but how do you know which computers have toxic chemicals and are only 1% recycleable. What’s more, how do you know how much energy that laptop or desktop will consume? Most of already know that laptops tend to consume less natural resources and less energy, but it seems like Energy Star is getting ready to step up to the plate to educate consumers about their computers. 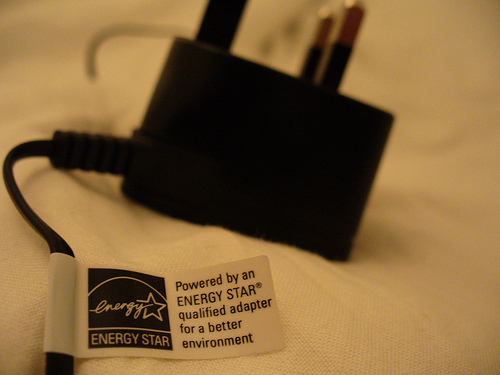 I’m sure you recognize Energy Star labels from many things, like fridges, hot water heaters, and other household appliances. But maybe you’ve wondered why you don’t see many of those labels attached to computers, one of the biggest energy suckers in any modern home. Frankly, I have too. Note: EPA proposes a TEC [Typical Energy Consumption] approach below for combining the discrete modal power values measured for computers into an annualized energy value. Such an approach, used in other ENERGY STAR home/office electronics specifications including Imaging Equipment and Set Top Boxes, provides end users with a single, easy to understand, point of comparison for energy consumption. This approach provides incentive for component efficiency innovations to counter more consumptive capabilities, while at the same time allowing computer designers flexibility to choose appropriate measures. Nothing is final though, and since computers use energy depending on load, energy settings, and can draw some mean phatom watts, it’ll be interesting to see how they do the ratings. How do you think these ratings will affect your computer shopping?